I have tried very hard over the last year to paint a portrait of what living in paradise is all about. From all the emails I have received from you, it seems to be a hit. Thanks so much for reading. 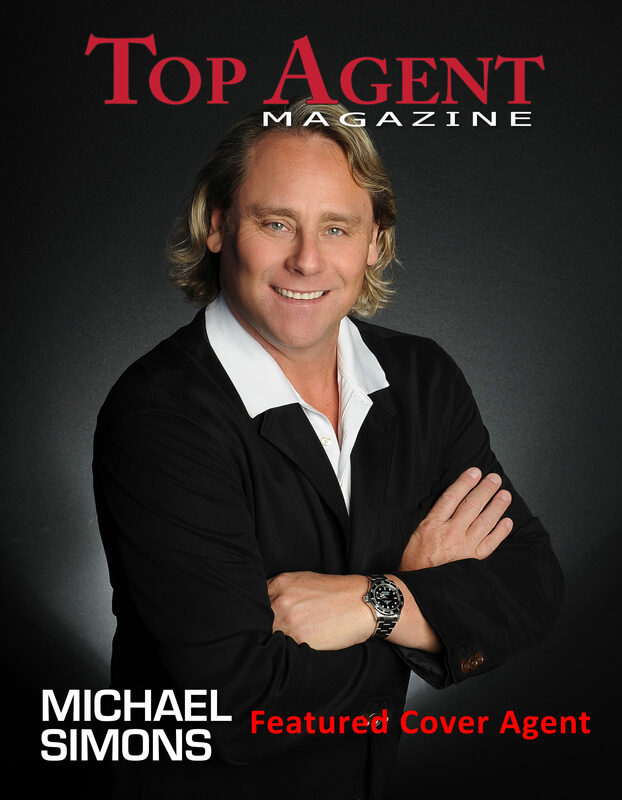 I am off to Las Vegas this week for the International RE/MAX convention. You know the saying, “A picture is worth a thousand words”? 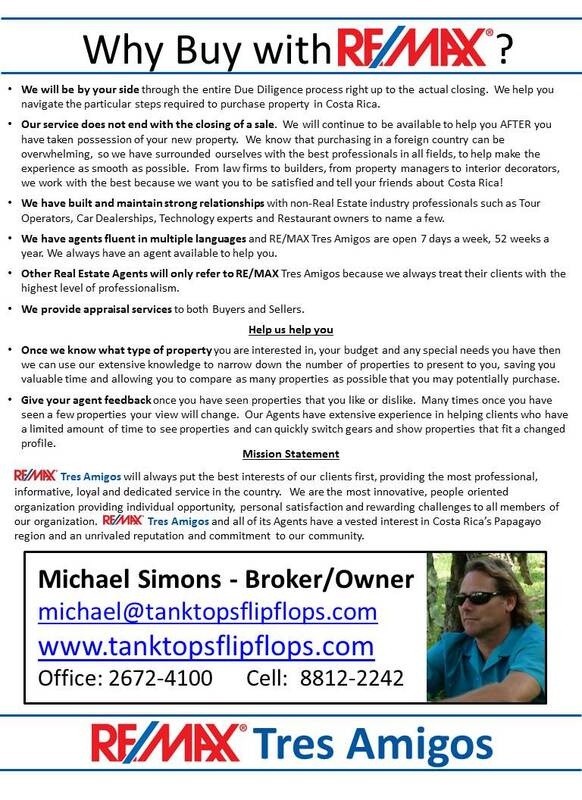 If you have had a great experience with my office and Costa Rica, I want to hear about it. Please send us a video of yourself telling us WHY and I will post it to my website for everyone to see. Or send me an email and I will put it in my Testimonials. I appreciate your business and that you have decided to read this Newsletter more than I could ever tell you. THANK YOU. Please take a little more time and check out the entire site. We have added a lot of information lately that I am sure you will find helpful. Buy generic Lasix Furosemide from this site http://www.dresselstyn.com/site/lasix-furosemide-water-pills/ which is much cheaper than the brand. Also, please forward this to any friends you think might be interested in learning more about Costa Rica. Is there a story behind Tank Tops and Flip Flops you ask? Of course, but you have to stay tuned for another Newsletter. I hope all is well. Stay healthy. God Bless you and your families. Stop procrastinating and hurry back! 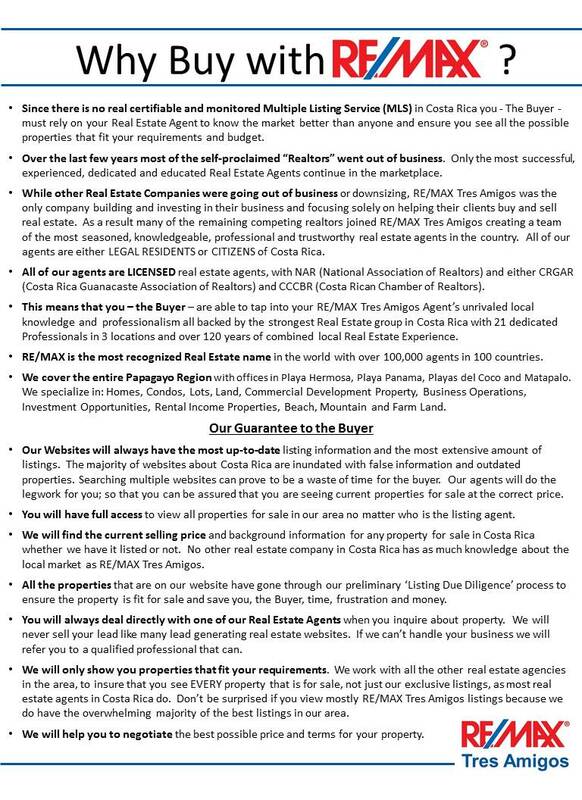 You know you are dealing with the Best Agents here at RE/MAX so we decided to put all the great reasons why you should use us to Buy property with us!